Why should I support VLB programs? Alabama is the 6th poorest state in the nation, yet it is one of only three states that does not fund civil legal aid. In Birmingham, where we are located, 29.4% of residents experience poverty. Without access to legal representation, these disparities will continue to mount. While VLB utilizes attorney volunteers to address the legal needs of our clients, our staff is of paramount importance in ensuring quality service to the community. Volunteer Lawyers Birmingham’s mission is to provide access to justice through pro bono legal work. VLB focuses on four service areas for our clients: Safe Housing, Safe Finances, Safe Families, and Serving Veterans. 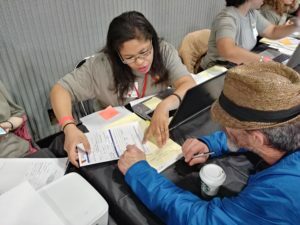 Each month, VLB serves clients at 20 court-based Birmingham Help Desks (Civil, Domestic Relations, Bankruptcy, Homeless, and Veterans), one neighborhood-based Help Desk (Woodlawn), and two court-based dockets (Turning Point Court, a special court for homeless clients; and Domestic Relations Low-Income Court). VLB also operates an Extended Representation Program for clients whose legal issues cannot be solved through a one-time appointment at a Help Desk. Your donation allows VLB to continue providing these services and to support a staff of attorneys who oversee and improve our many programs. VLB served over 3,500 clients last year at our Help Desks and through the Extended Representation Program. Volunteer Lawyers Birmingham served over 3,000 clients per year in 2017 and 2018. 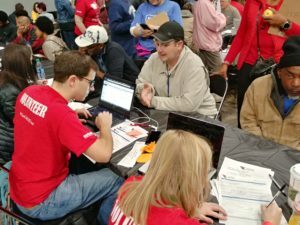 In each year, over 500 attorney volunteers donated 4,500 hours of their time, which equates to approximately $1 million in free legal aid. Yes. Volunteer Lawyers Birmingham is a 501(c)(3) nonprofit. Any donations to Volunteer Lawyers Birmingham are tax deductible, and we are happy to provide you with a tax receipt for cash or check donations. You will receive a receipt automatically if you donate online. Your donation benefits struggling members of the Greater Birmingham community with civil and domestic legal issues. 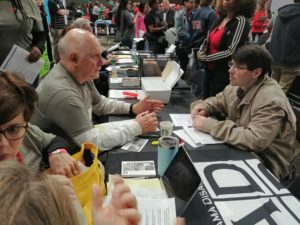 In 2018, Volunteer Lawyers Birmingham assisted over 3,500 clients. 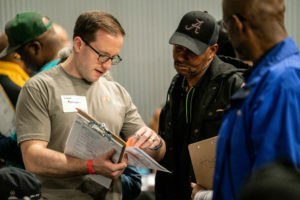 Volunteer Lawyers Birmingham is committed to providing excellent service to our clients, and your donation helps with every step of the process. In order to qualify for VLB’s services, clients must fall at or below 125% of the federal poverty level. This usually equates to an annual income of approximately $14,000 or less for an individual or a household income of $30,000 or less for a family of four. VLB waives the income requirement for victims of domestic violence.